OPPO is bringing the OPPO F11 in Kenya soon. The company has hinted that it will be bringing the OPPO F11 and F11 Pro in the country although it does not mention the exact date we should expect the devices to be available locally. The OPPO F series are selfie-centred smartphones and so there’s a lot to expect from OPPO ahead of the F11 launch. OPPO says the F11 series boasts several innovative technologies and are equipped with a new 48MP ultra-clear camera system, a rising camera, and a panoramic screen. The F11 series rear camera has also been greatly upgraded. We will be getting a 48MP+5MP dual camera system, F1.79 aperture, 6P lens, and 1/2.25-inch image sensors. The OPPO F11 comes with a 6.50-inch touchscreen display. It features 4GB of RAM and 64GB internal storage that can be expanded via microSD card. The F11 runs ColorOS 6.0 based on Android 9.0 and is powered by a 4,020mAh battery. It also supports VOOC fast charging. For the cameras, the device packs a 48-megapixel primary camera and a second 5-megapixel camera with autofocus. The selfie camera is a 16-megapixel. 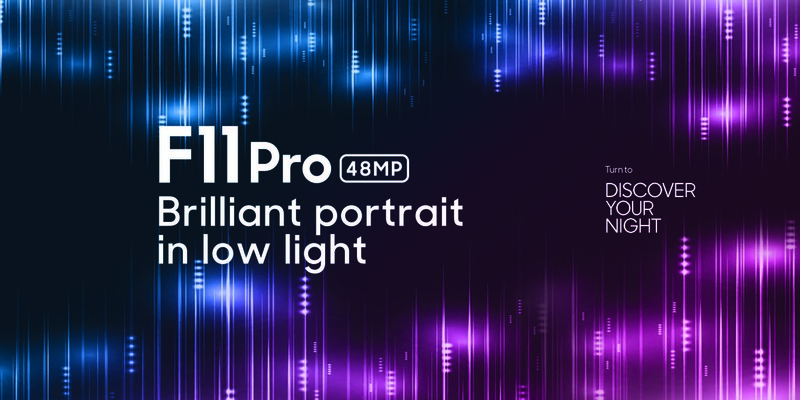 The F11 Pro, on the other hand, comes with a 6.53-inch display with a resolution of 1080×2340 pixels. It comes with 6GB of RAM and 128GB of internal storage. The F11 Pro runs ColorOS 6 based on Android 9 and packs 64GB of inbuilt storage. It is powered by a 4,000mAh battery and supports VOOC fast charging. We’re still not sure about the pricing for the two devices yet.